Two documentaries have come my way that raise important questions about the digital revolution as well as providing much more entertainment than Dunkirk and Detroit put together, even if this might be a case of setting the bar too low. “California Typewriter” is a beautiful homage to the antiquated machine that people my age used long before personal computers took over while “The Shopkeeper” is a nostalgic look at the recording industry in its prime and how streaming services like Spotify and Pandora threaten to pauperize performing artists to the point of making them as antiquated as a typewriter. The shopkeeper in question is Mark Hallman, the founder of the Congress House, the longest continually operating recording studio in Austin, Texas. “California Typewriter” starts with a dramatic recreation of the premise of conceptual artist Ed Ruscha’s 1967 book “Royal Road Test” that recreates how he and co-authors Patrick Blackwell and Mason Williams headed out into the desert from Los Angeles on Highway 91 in a 1963 Buick LaSabre. When they reached 90 miles per hour with Ed Ruscha at the wheel, Mason Williams threw a Royal Typewriter out the window while Patrick Blackwell photographed the scattered remains on the side of the road. Supposedly Ruscha got the idea for this stunt because he was a Marcel Duchamp fan. One might wonder if David Letterman was a fan of Ed Ruscha before he began throwing watermelons from rooftops on Late Nite. Probably not. If there was anybody capable of putting the Royal back together, it would be the people working in California Typewriter, the eponymous Berkeley store whose survival is as tenuous as Mark Hallman’s Congress House. The typewriter repair/sales shop was started in 1949 and bought by an African-American named Herbert L. Permillion, III in 1981 after having worked 20 years for IBM servicing Selectric Typewriters. His daughters Carmen and Candace work in the shop but the brunt of the repair work is done by Kenneth Alexander, another African-American who has been repairing typewriters for 42 years and is the documentary’s star. Like Mark Hallman, he is the ultimate craftsman who might go the way of the blacksmith if the relentless march of capitalist technology continues. Why would anybody want to bother with a typewriter anyhow? Alexander Cockburn, who was in love with his ancient gas-guzzling Detroit automobiles, used one until he got involved with CounterPunch. In this CSPAN interview, he discusses his attachment to typewriters, including the Underwood 10 his father Claud begin working on at 5:30 every morning and one just like it that he kept in his Petrolia home. To crank out CounterPunch, Cockburn migrated to a Macbook and never looked back. It is too bad that he didn’t live long enough to be included in Doug Nichol’s superlative film since I am sure he would have said something similar to Sam Shepard, who we are fortunate to see interviewed prior to his death from ALS. Shepard, like all the other typewriter devotees interviewed, used a typewriter largely because of its sensuousness that is absent in the digital world. 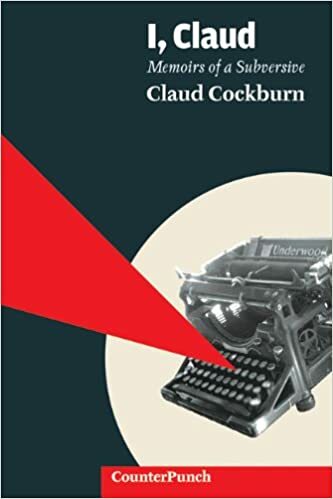 Cockburn described himself as a veteran and aficionado of the “hot metal type” era while Shepard speaks lovingly of the clackety-clack of the typebar as it struck the platen. But the ultimate satisfaction comes from watching the ink imprint on white paper, something that is a constant reminder that writing began with ink itself. Everybody else interviewed by Nichols is as thoughtful as Shepard, including Tom Hanks who most of us would not think of ordinarily in those terms. Hanks not only uses a typewriter; he is a collector, owning 250 of them. To illustrate why typewriters were superior in every respect to computers—except productivity—he points to a framed thank-you letter written on a typewriter by Noel Coward to someone he had lunch with in the 1930s. Dashing off an email could never compete with words typed out on engraved linen paper. An email might be easier to crank out but it lacks gravitas. Although born in 1977, just four years before the birth of the IBM PC, singer-guitarist-songwriter John Mayer uses a typewriter. Uncommonly articulate and wise, he attributes a scene of Bob Dylan pecking away at a typewriter in D. A. Pennebaker’s “Don’t Look Back” as his inspiration. We see an original copy of one of Dylan’s songs as the product of a typewriter, with crossed out words and changes written in the margins of the page. When you see something like this, Mayer points out, you understand the creative process. We meet typewriter collector Martin Howard who travels the world searching for the earliest typewriter to add to his collection, including a Sholes-Glidden machine that was the first ever manufactured and a kind of holy grail for collectors. As should be obvious from this image, the aesthetic compared to Steinway pianos that early inventors actually hoped to emulate both functionally and stylistically. Unlike those mentioned above, artist Jeremy Mayer would seem to be hostile to their goals since his use of typewriters involves taking them apart and reintegrating them into sculptures inspired by the automaton in Fritz Lang’s Metropolis. For many years, Mayer stopped by California Typewriters to purchase machines that were not salvageable and taking them apart to be used in a future sculpture, something akin to what Joseph Schumpeter called “Creative Destruction”. In the course of his visits to the store, Mayer learned that they were in danger of closing down. Using his own grasp of advanced digital technology, he helped put together a website for the store that has kept them afloat in the spirit of what Leon Trotsky described as “combined and uneven development”, a term used to describe advanced industry in a backward society like Czarist Russia. Can the term “combined and uneven development” apply to the future socialist world as well? Perhaps so, if we can envision the use of manual typewriters, record turntables and other devices condemned unfairly to the dustbin of history. William Morris, the textile designer, poet, novelist, translator, and socialist associated with the British Arts and Crafts Movement, never held the disdain for the past that is so prevalent today on the left and that was an unfortunate byproduct of the aggressive futurism of the USSR that later became bastardized by Joseph Stalin. Yet for the consolation of the artists I will say that I believe indeed that a state of social order would probably lead at first to a great development of machinery for really useful purposes, because people will still be anxious about getting through the work necessary to holding society together; but that after a while they will find that there is not so much work to do as they expected, and that then they will have leisure to reconsider the whole subject; and if it seems to them that a certain industry would be carried on more pleasantly as regards the worker, and more effectually as regards the goods, by using hand-work rather than machinery, they will certainly get rid of their machinery, because it will he possible for them to do so. It should also be mentioned that Doug Nichols has incorporated a nonpareil sound track that relies heavily on some of the greatest jazz performances of all time that are matched perfectly to the ethereal quality of much of the film, including Oliver Nelson’s “Stolen Moments”. The film opens on August 18th at the Metrograph in NY and will also be available on iTunes. Check here for further information. “The Shopkeeper” was directed by Rain Perry, a singer who is among those who pay tribute to Mark Hallman in this modest but moving film. Now a recording engineer and producer who sometimes provides guitar accompaniment and background vocals to those who come to his Congress House in Austin, a virtual shrine to country-rock music, the 66-year old Hallman started out as a mop-haired rock musician in the 60s leading his own group in various locations until ending up in Boulder, Colorado as the co-leader of a band called Navarro that would remind you of Jackson Browne or the Byrds. His skills recommended him to Carole King who hired him as a producer and performer on six of her records. As performing and recording opportunities dried up, as they would for any musician getting a bit older, he switched gears and started Congress House, a studio that is made to order for artists like Rain Perry, Ani DiFranco and others who pay tribute to him in the film, both young and old. Among the film’s assets is showing the work of a recording producer that at their best can be held in esteem just like George Martin—the fifth Beatle. If the film was only about Hallman’s career and the evolution of the recording industry over the past 40 years, it would be worth seeing but for me it was the ideal accompaniment to “California Typewriter” since it is a case study in the ongoing clash between digital and analog values (for lack of a better word). As a running Greek chorus, the film includes commentary by Jon Dee Graham, a ferocious critic of “free” music on the Internet as well as a guitarist based in Austin. He lambastes U2 for their 2014 release of “Lost Innocence” that was downloadable for free. Was that supposed to be a model for other musicians? Who in the world would have bothered to download the album if they weren’t aware of the artists who by 2014 had worldwide acclaim, even if not deserved. Graham provides keen analysis of the trajectory of the record industry. In 1973, records and cassettes (used in cars and boom boxes) prevailed. By 2003, the market had shifted to CD’s. For artists, there wasn’t much difference between the two types of media. CD’s might have been digital (and sounded crappy) but at least the artist could rely on the proceeds from their sales. Now, in the Internet era, you can still buy CD’s but not in record shops that have died out everywhere. I used to take great pleasure when I was working downtown at Goldman-Sachs to stop at least once a week in the long-gone J&R to browse through the stacks of records and CD’s. A knowledgeable DJ in the store would always be playing the latest Youssou Ndour or Talking Heads album. Nowadays, people get their music from Spotify et al, a practice I find totally sterile even if it is cost-effective. Since most of the music on these streaming services is geared to 15-year olds, there’s just no there there for me. The real problem, however, is how it impoverishes the musicians it relies on. Rain Perry shows us a statement she got from Spotify. Her latest song was played 309,000 times in the billing period and she received $36.38 for her efforts. Between 2014 and 2015, CD sales decreased by 17% while subscription streaming increased by 52%. Digital makes it possible for artists to begin recording in their own living room and releasing the songs through a streaming service but they will never approximate the quality of something done in the Congress House. It is the same thing with blogging. Nobody has to pay a blogger who provides content for free but most of it is worthless to begin with. Except for me, I hope. Go here for information on how to see this important film.